This is another expanding list, begging for suggestions. Which recordings do you find exemplify the skill of the accompanist? Which players of any instrument have influenced your approach to the craft? Let’s hear ’em. 1. 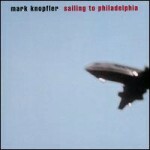 “Sailing to Philadelphia”, Mark Knopfler, 2000. I became a fan of Mark Knopfler about a minute and half into the first time I heard ‘Sultans of Swing.’ With an unmistakable tone and style he is one of my favorites. The entire Dire Straits/ Mark Knopfler catalog really provides great lessons in guitar accompaniment, but “Sailing to Philadelphia” exemplifies his style in a variety of musical settings. From the defining riffs in ‘Do America’ and ‘Speedway at Nazareth’ to the economical and expressive fills in the title track and ‘Prairie Wedding’ this album is a showcase of techniques and approaches to serving the song. 2. “Aztec Two-Step”, Aztec Two-Step, 1972. 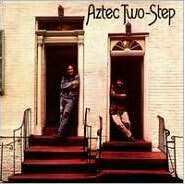 Aztec Two-Step is the acoustic duo of Rex Fowler and Neal Shulman. Taking their name from a line from a poem by beat poet Lawrence Ferlinghetti, they write literate and engaging songs. In this debut album the lead guitar playing of Neal Shulman is adroit and appealing. Single note lines accentuate the lyric and complement the melody. 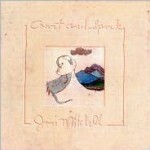 Representing another significant step in Mitchell’s evolution from folk singer to musical and lyrical innovator, ‘Court and Spark’ was one of her most popular recordings. Most of the lead guitar was provided by Larry Carlton. Carlton is an adept solo jazz and blues artist with an impressive catalog of solo and group recordings. He also has an uncanny ability to minimize his playing to best serve the song. Carlton was the “A” LA studio guitarist in the 70’s before focusing on his solo career. He can be heard on records from Steely Dan, Billy Joel, Michael Jackson and many others. Guitar accompaniment work on this album was also provided by Robbie Robertson of The Band and Dennis Budimir, another LA studio staple in jazz and pop for the past 50 years. If you’ve ever seen Mayer play guitar live or on DVD’s of Clapton’s “Crossroads” festival, you know that he can stand side by side with any of the guitar heroes. On his debut album his accompaniment chops and his ability to be restrained when needed are featured. Playing melodic and ‘riffy’ rhythm guitar licks as a foundation for the songs, Mayer provides a lesson on the use of unique chord voicings, arpeggios and limited lines in creating memorable songs. 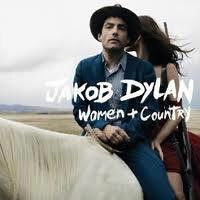 Jakob Dylan’s second solo album has a sparse and dark tone that is a fertile field for tasteful and emotive guitar playing. 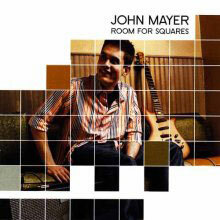 Produced by T-Bone Burnett, who also added guitar and several tracks, the bulk of the guitar is provided by Marc Ribot. Whether it is the primary instrumental voice or interacting with pedal steel, fiddle or even horns, the guitar work is essential to the overall effectiveness of the record. Throughout Rick Nelson’s career, the guitarist on his recordings was James Burton. Burton also performed with Elvis Presley, John Denver, Emmy Lou Harris, Gram Parsons, Elvis Costello and many others. He is certainly one of the forefathers of rock ‘n roll guitar and the master of the Telecaster. Listen to his solo on ‘Hello Mary Lou’ and the influence he has had on many guitarists becomes apparent. 8. “Live In Paris”, Diana Krall, 2002 Diana Krall is a vocalist and remarkably adept piano player. She accompanies her singing with a light touch, using tightly voiced chords with leading tones and an open feel. There is much to be learned from both her harmonic and her rhythmic approach to accompaniment. Her solo playing is melodic and accessible and I really like her vocal style. There is no clutter here, all the parts fit the whole. This album also features the great rhythm section of bassist John Clayton and drummer Jeff Hamilton. The tasty guitar of Anthony Wilson is icing on the cake. There are many different forms that accompaniment can take. I remember 1965 as a year when having been used to a fairly ‘standard’ way of playing accompaniment in popular songs, something changed. Bob Dylan shifted from playing solo acoustic to include other musicians. The year was the release of the Beatles album, ‘Help’, and the Stones album, ‘Out of our Heads’. 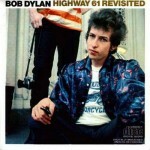 Dylan released, ‘Bringing it all Back Home’ and ‘Highway 61 Revisited’. 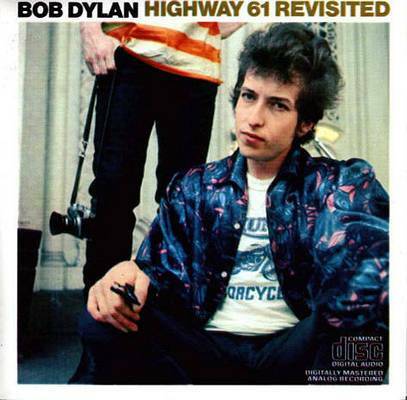 Listen to ‘Mr.Tambourine Man’ on the former, and ‘Desolation Row’ on the latter. Both songs have a continuous melodic thread running through the song provided by a meandering acoustic guitar. See how different they are from the standard song of the time, and how well the acoustic thread suits the mood of the songs. My musical thinking changed a lot that year, thanks to Bob and his musicians. I’m a bit embarrassed to admit that I never paid close attention to the acoustic guitar lines in those Dylan songs before. They are really quite subtle but add a great deal to the mix – almost a counter melody to the lyric line, not quite tied closely enough to be counterpoint. Glad you brought these up. I have always thought of “Rubber Soul”, released later in ’65, as marking the point at which the Beatles shifted from writing pop songs to something more edgy and musically daring. The American version of “Out of Our Heads” included ‘Satisfaction’, was that included on the British release? That song was the one every high school and garage band in the country was playing. As you say, 1965 was a seminal year. ‘Rubber Soul’ is probably still my most played Beatles album. It certainly was a shift both musically and lyrically from their previous work, and seemed to deliver track after track of quality songs. The UK version of ‘Out of our Heads’ head neither ‘Satisfaction’ nor ‘The Last Time’ as they had both been previously released as singles. The record companies were kind to the fans in those days, not padding albums with tracks that would have been purchased as singles. It wasn’t to last – and the inclusion of the hit single became a ‘hook’ in the marketing of albums. Thanks for commenting. Please keep stopping by.